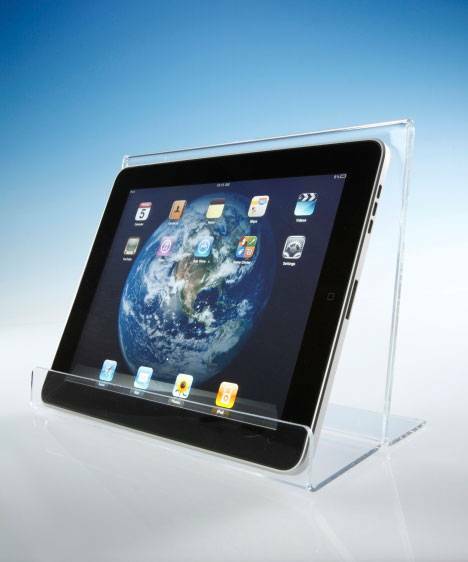 Here is the perfect solution for displaying your Ipad in the kitchen, office, or anywhere you need a hands free set up. Made with 1/8" clear acrylic, all edges are flame polished for a quality finished look. Affordable and attractive!